Introduced in 2016 to meet the needs of the modern businessman, the Vanquish has since become an emblematic career bag. 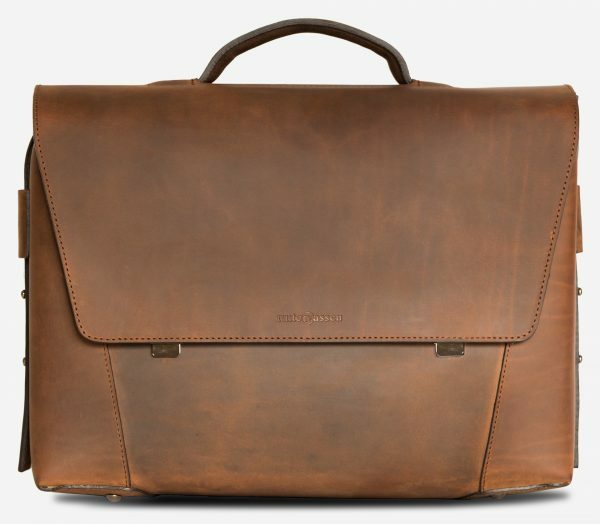 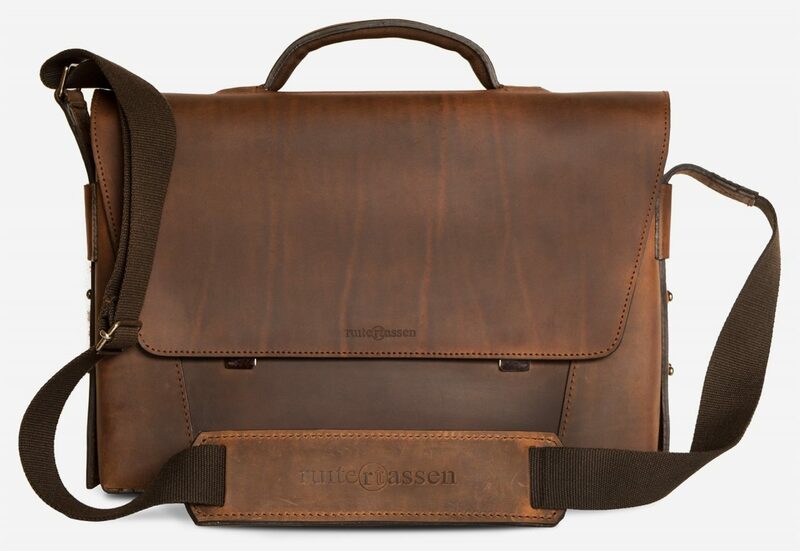 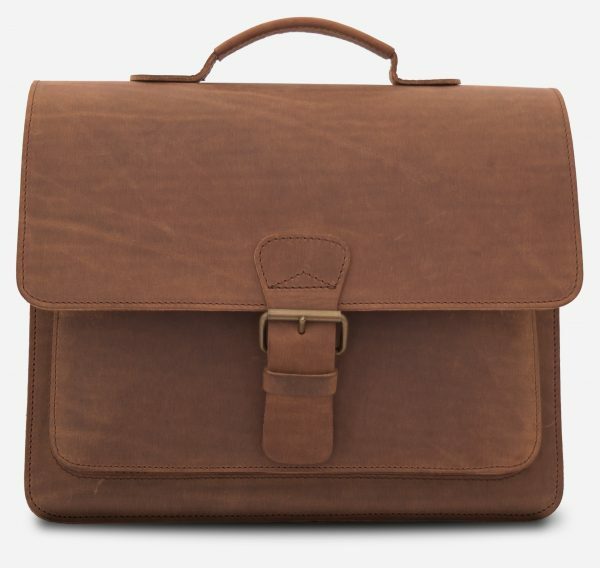 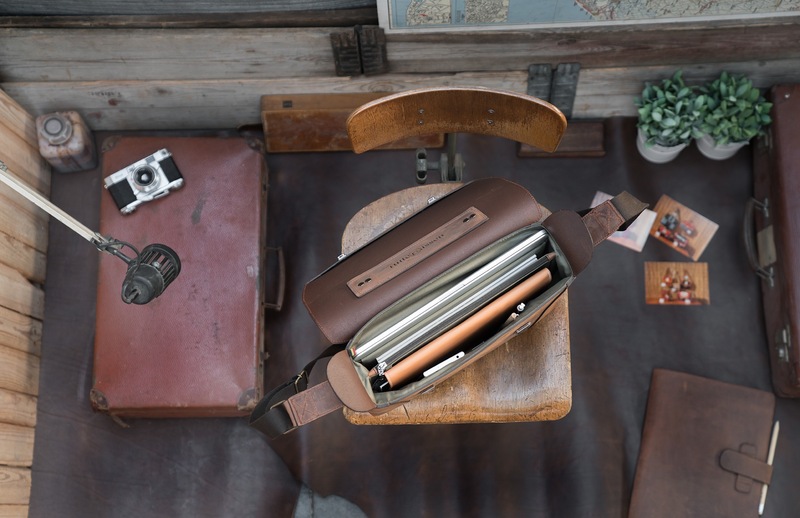 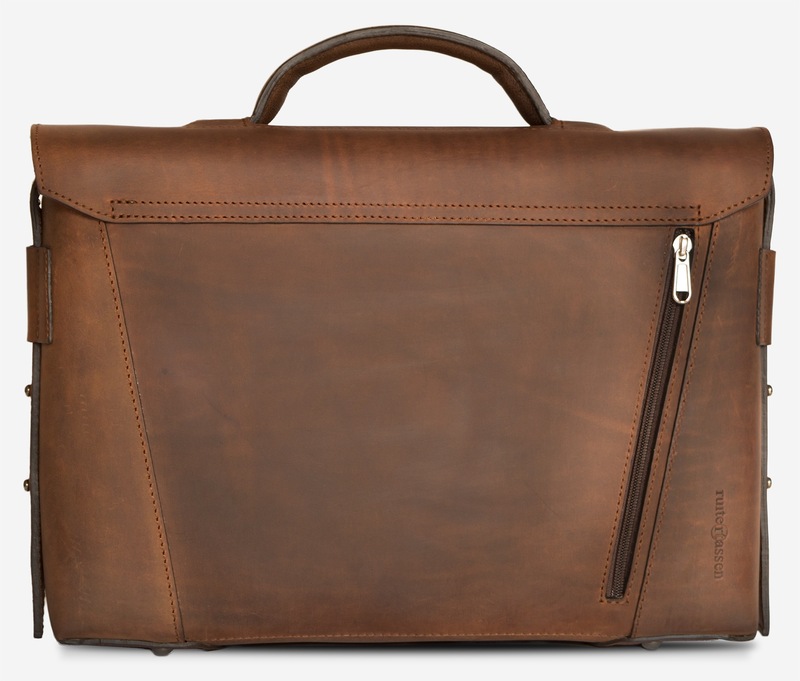 Expertly handcrafted from durable vegetable-tanned brown leather. 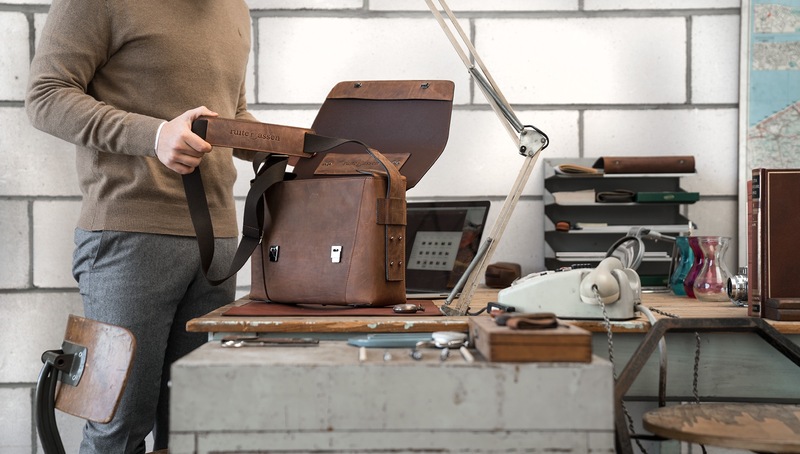 Carry it by the gel padded top handle or attach the adjustable canvas shoulder strap. 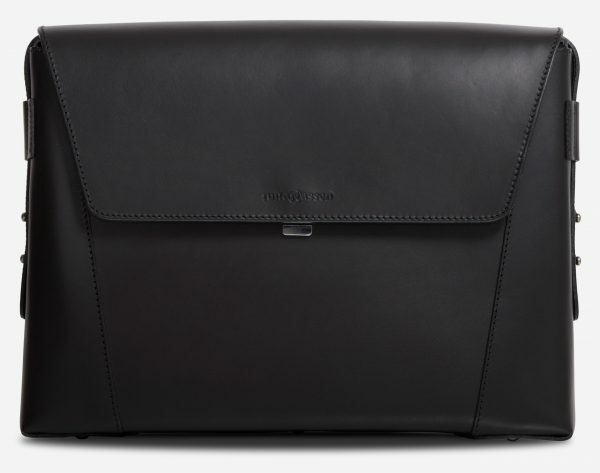 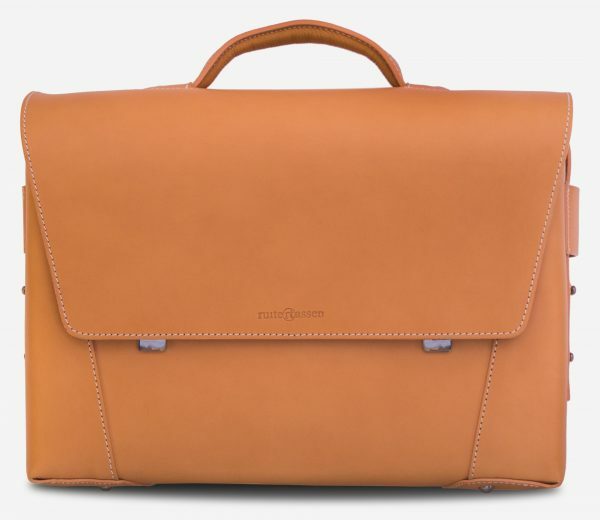 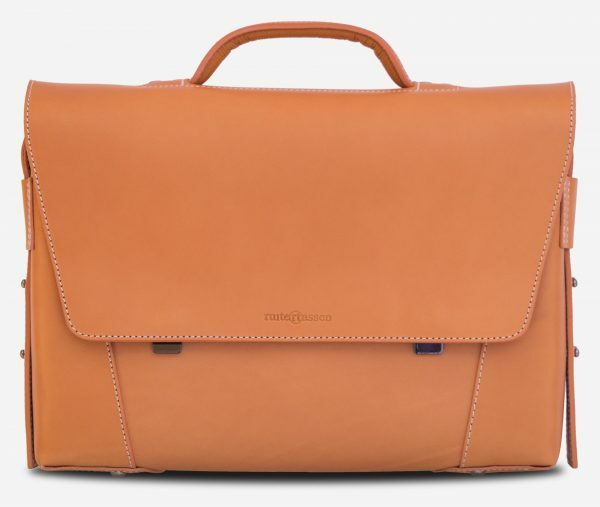 It features one padded pocket for a 13-inch laptop and two main compartments. 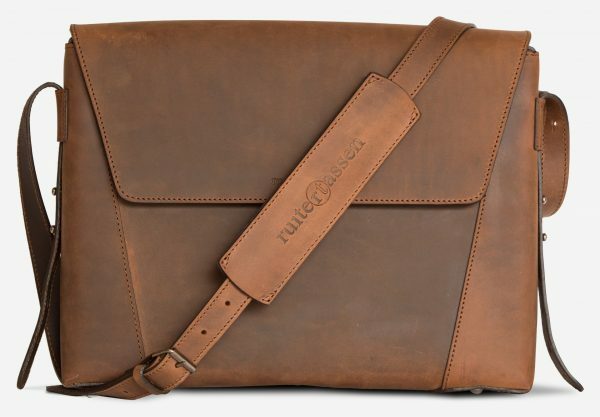 It has three slip pockets for your tech and cards and a zipped one to keep everything organised. 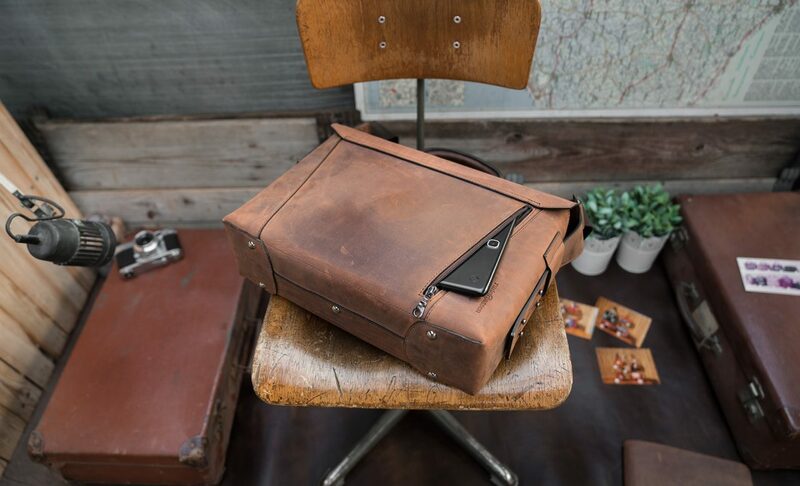 Keep your phone or tablet in the exterior back pocket. 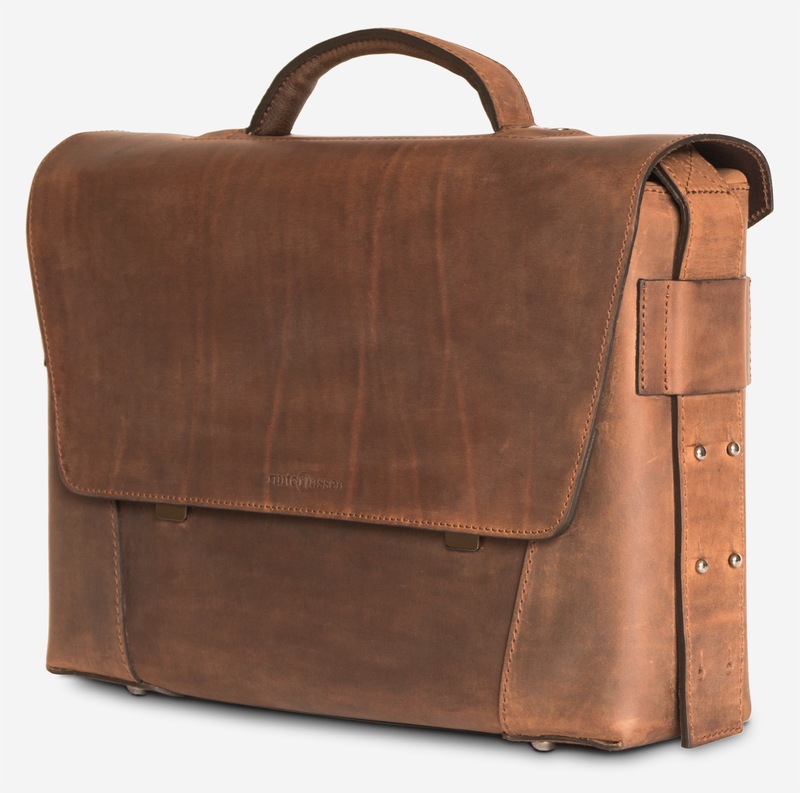 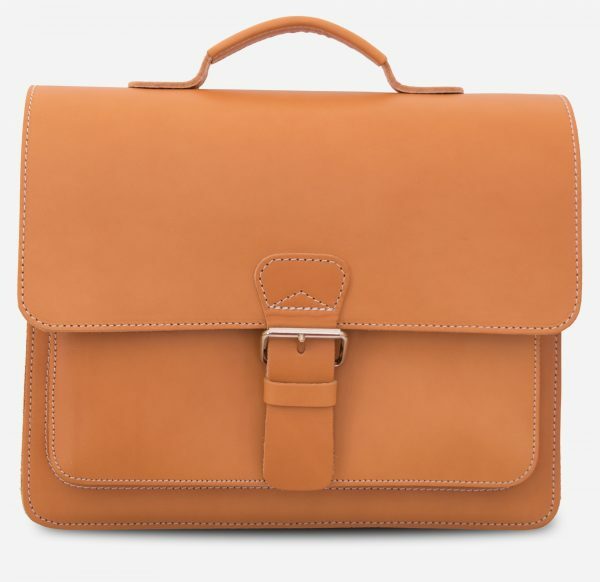 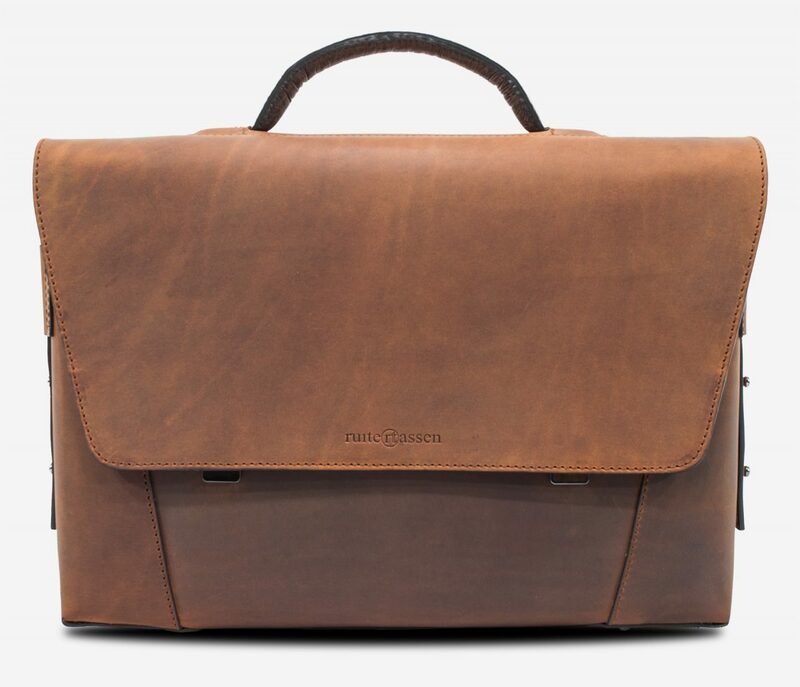 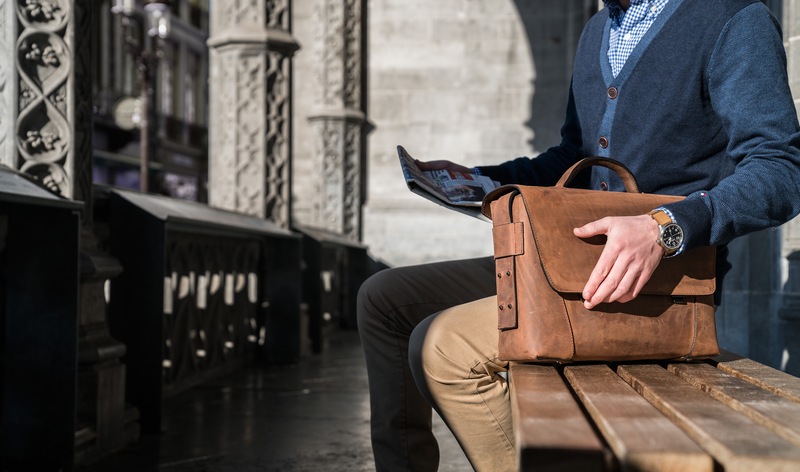 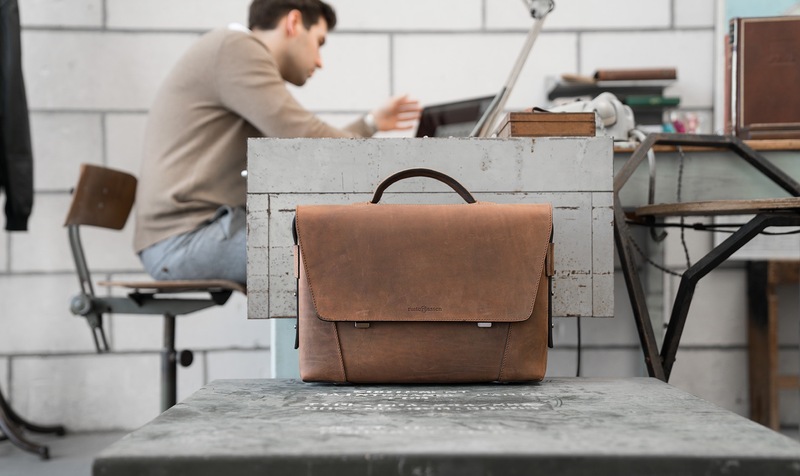 The Vanquish is a sophisticated briefcase for carrying your work essentials and it will develop a rich patina over time.